Electric ovens offer several advantages to baking, once you learn how to properly use them. 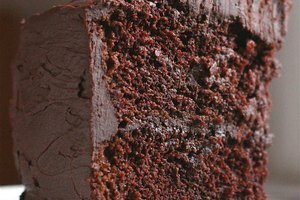 When baking cakes in electric ovens, certain actions should be taken to ensure that your cake cooks thoroughly but does not burn. 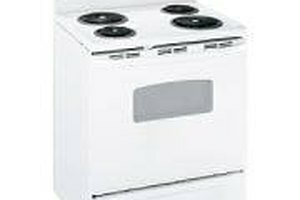 Each electric oven is different, but the general process of cooking cakes in them is essentially the same with only a slight addition if you are in the learning phase of testing your new appliance. Preheat the oven as directed by the recipe instructions for the cake that you are baking. 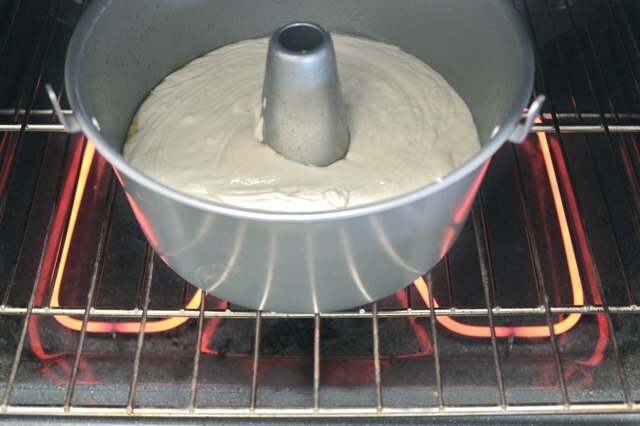 Place the baking pan containing the mixed cake batter on the center rack of your electric oven, unless otherwise specified by your recipe, so that the cake bakes evenly. 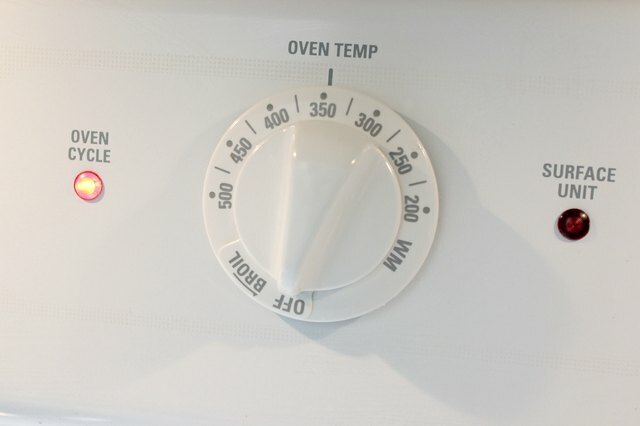 Set a timer once you place the cake in the oven, and always initially set the timer for the lowest time option. For instance, if your recipe states to bake for 20 to 25 minutes, set the timer for 20 minutes until you become better accustomed to how your electric oven cooks. It's much easier to remedy an under-baked cake than an over-baked one. Pull the oven door gently open a few inches three quarters of the way through the baking process in order to determine whether or not the cake is cooking too fast; or turn on the internal oven light to see the progress of the cake (if your electric oven has this feature). If the cake looks too brown (more than golden brown) or browner around the edges, lower the cooking temperature by 25 degrees. Note that this step is only required if you are becoming newly accustomed to the cooking time of your electric oven. Unless instructed by the recipe to open the oven and check your cake before it's done, it's best to leave the oven door closed throughout the baking process. 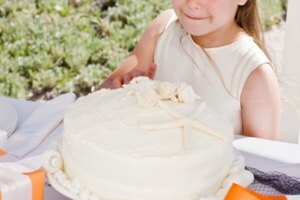 Remove the cake when the timer sounds, and insert a toothpick into the very center of it to determine if the cake is thoroughly cooked. 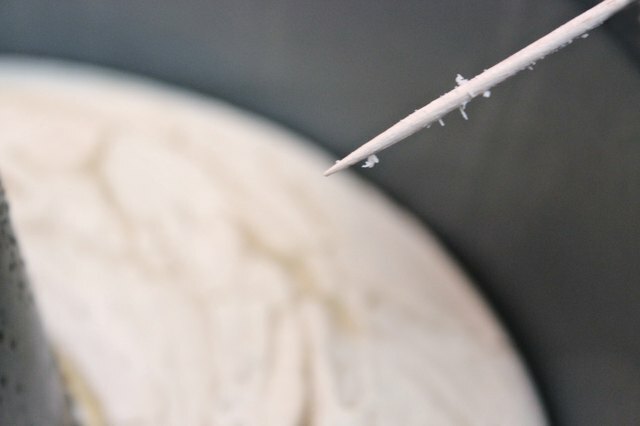 If the toothpick removes clean, the cake is done; if not, reinsert it in the oven. Preheat the oven while you are preparing the cake, so that the preheating process will be complete by the time you have the cake mixed. 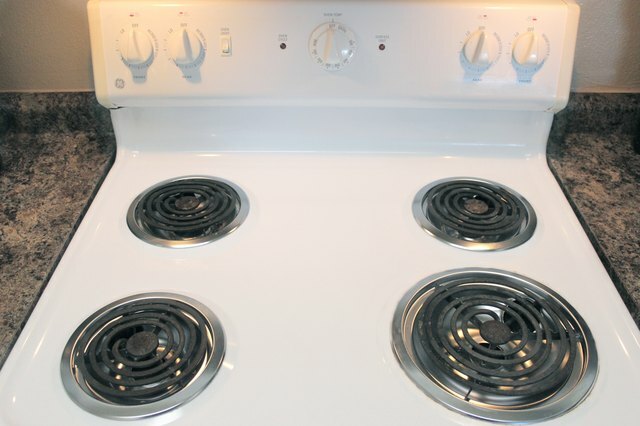 Beware of attempting to remove baking pans from the oven using a dish towel, for the uneven distribution of the material can cause serious burns; always use oven mitts or potholders instead.